Home » General » January Special: Discount Carpet Cleaning in Columbia, Mo. January Special: Discount Carpet Cleaning in Columbia, Mo. Could your home use a good carpet cleaning? Most could. Few things attract dirt, stains and debris quite like your carpets, especially if you have children and/or pets. With that said, carpets aren’t always the easiest thing to clean. That mud you tracked into the house the other day? Those particles are now stuck in the fibers of the carpet. The wine you spilled a week ago? No matter how many times you dab it with a wet paper towel, that’s probably not going to be enough to erase the stain. So, what do you do? We suppose you could try to cover that dark spot with a table or piece of furniture, but even if your guests don’t know that it’s there, you will. Fortunately, ServiceMaster of Columbia is here to help you avoid that guilt. During the month of January 2018, ServiceMaster of Columbia is offering a discount carpet cleaning service for only $149. This service includes up to four rooms and a hallway. Eliminate dust mites, allergens, and other things trapped in the fibers of your carpet. Reduce the spread of dangerous germs and diseases. Remove unpleasant stains and spots. Reduce the wear and tear of your carpet, potentially extending its life several years. Protect your carpet from future stains using Scotchguard. Contact ServiceMaster of Columbia today to schedule your carpet cleaning appointment! 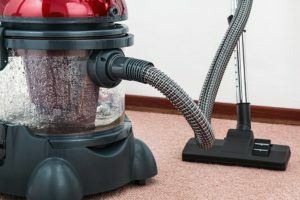 How much does a carpet cleaning typically cost? The cost of carpet cleaning varies depending on the size of the area needing service and the amount of work needed. Act now to take advantage of our January carpet cleaning special. In addition to carpet cleaning, we also offer similar services like tile cleaning, area rug cleaning and more. Interested in scheduling a carpet cleaning at your home in the Columbia, Mo. area? Sign up for service with our online contact form or call us at 573-443-8383.